Reserve your Monterey Bay Aquarium package at the Inns of Monterey today and receive a $50 gift certificate to the Aquarium’s gift and bookstore. Book your stay now through January 12, 2011 and our Aquarium Package includes this added Monterey shopping bonus! Make a serious dent in your holiday shopping list when you visit the Aquarium gift and bookstores for some Monterey shopping. 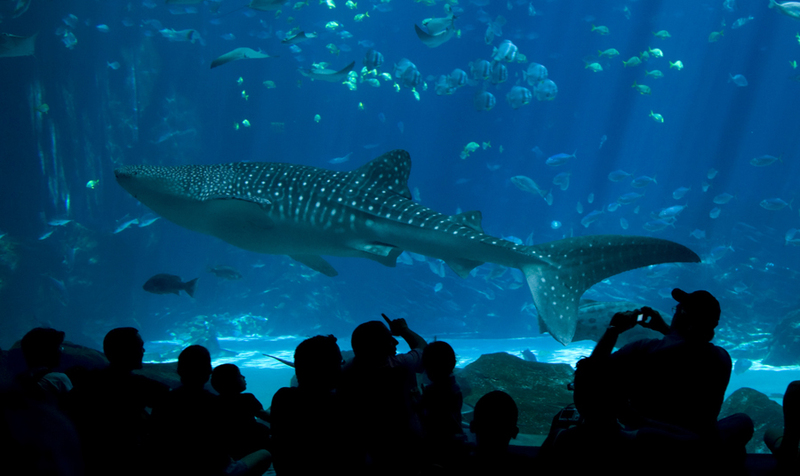 You’ll find items related to the Aquarium's exhibits and animals, and the Monterey Bay area. Each of the shops located inside the landmark Aquarium offer an assortment of adorable plush sea creatures, fascinating books, apparel, games and more. Harbor View rooms at the Monterey Bay Inn start at $269 per night. Click here to book. Cannery Row view rooms at the Spindrift Inn start at $229 per night. Click here to book. Rooms at the Best Western Plus Victorian Inn start at $199 per night. Click here to book. In order to take advantage of this exclusive Monterey shopping bonus, reservations must be made online by midnight November 30th. Availability is limited and restrictions apply. Book now!